Drone Photography, Here I Come! This past weekend my parents were in town visiting. My dad gave me the ultimate surprise and said he wanted to buy me the drone I've been wanting, for my birthday (which is coming up in a week!)! We visited a few stores around town and finally found a location that carried the beginner drone of my dreams! I've been interested in drone photography for quite a while, but I was always intimidated by having to actually fly the drone, haha. I figured that a drone was also outside of my budget, so I didn't ever look too much into it. After getting more serious about the thought of a drone recently, I began to do some extensive research. I geared my search towards a beginner drone with a decent camera, because after all the main reason (okay, the only reason) I want a drone is for the photography. I thought that starting off with a beginner drone was the best route for me. If I end up loving it I can always upgrade down the road. I have to make sure that I like it first. The drone I landed on is the Tello. I couldn't believe how affordable it was - it's only $99! I read review after review that this is one of the best affordable/beginner drones on the market. 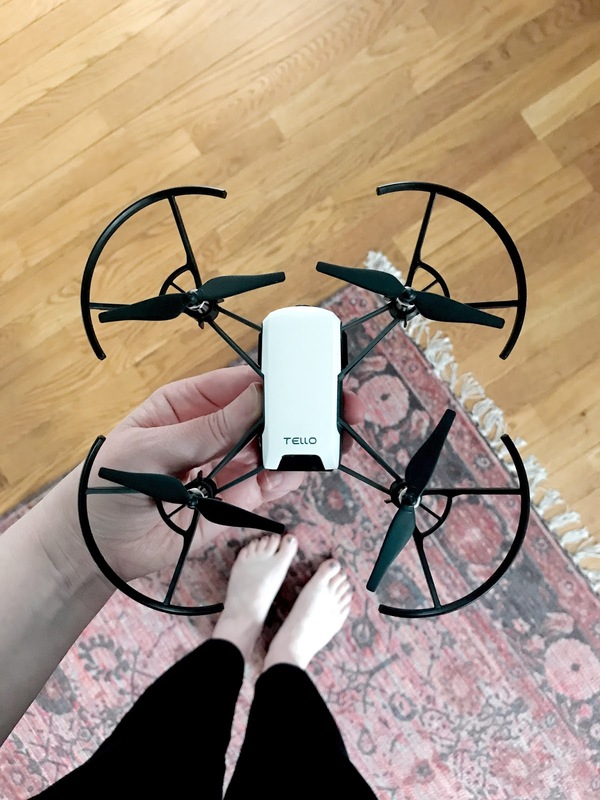 The Tello kept showing up #1 in most of my search efforts, so I couldn't help but take this little drone seriously. It's technically considered a "toy drone" but has the DJI technology, so you know the quality is great. I've done a few test flights in the backyard to get familiar with the handling, but its been kind of tricky because we have so many trees (Luke already got it stuck in a tree!). I'm dying to take the Tello out in the open and see what it can do!